Praiano has devoted much of its life to the fishing industry. 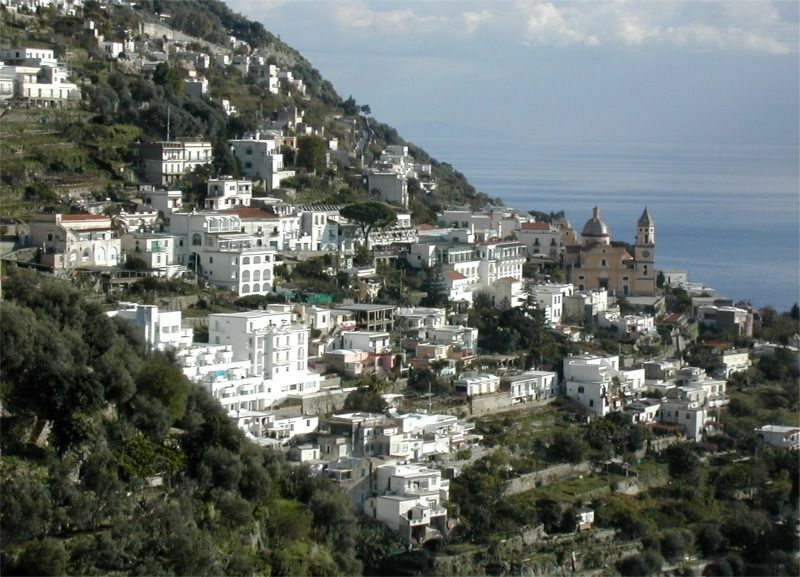 It was also a powerful and thriving town which produced silk and a place chosen by the Dukes of Amalfi as summer resort. 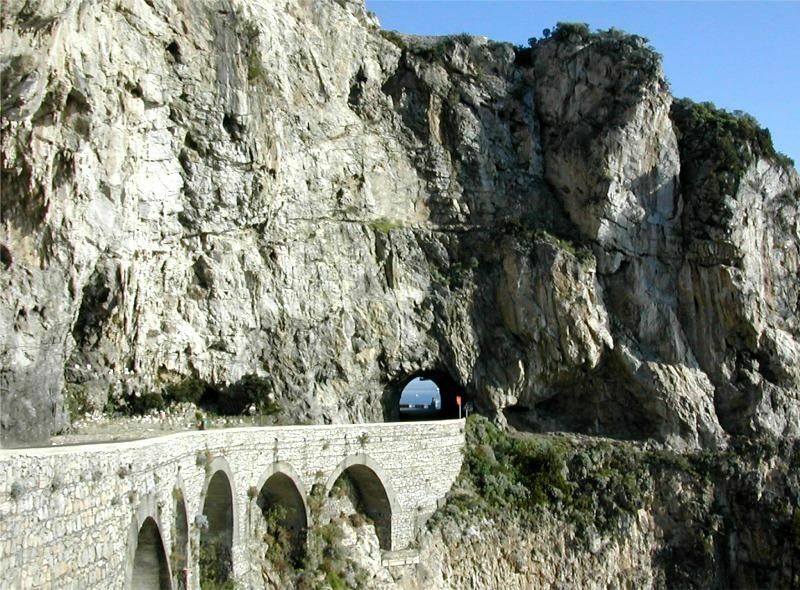 At present Praiano is a coastal town of white houses without a proper centre of town with views of the healthy strong vegetation of Monte Sant’Angelo. The big draw of Praiano is its little beach at Marina di Praia. A steep trail descends the cliff where there is an narrow strip of water that goes from the sea into land with a sandy beach and inviting clear waters. Another stretch of beach is near the rocks. The antique fishermen’s homes have been refurbished to serve as bars and a restaurant to savour recommendable fish dishes. Africana nightclub still offers a wondrous place to enjoy an evening in a swinging disco to dance on its glass panelled dance floor from where you can admire the sea under the movement of your feet while kaleidoscopic colours light it. The nightclub has been skilfully housed in a group of caves off Marina di Praia . 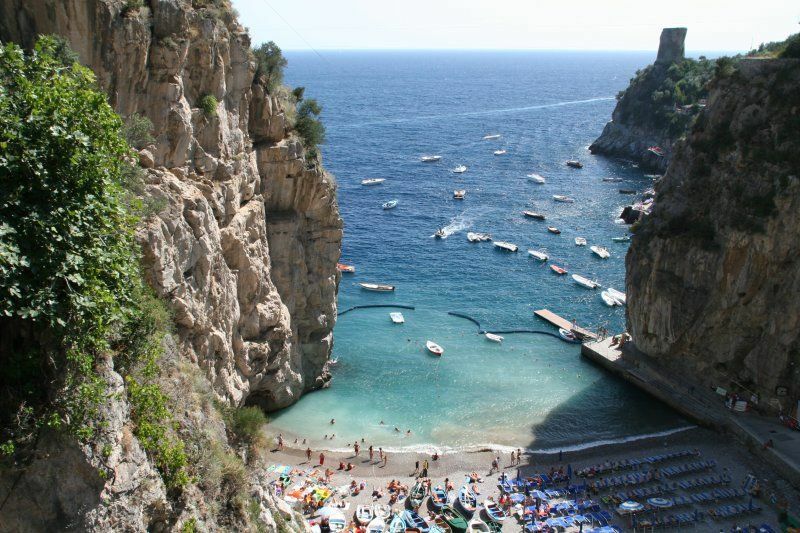 Da Armandino on Via Praia sits in a wonderful setting in Marina di Praia lorded over by the cliffs crowned by the road. Perfect to relax and eat delectable fish dishes from the menu or the day special which will always be wonderful.